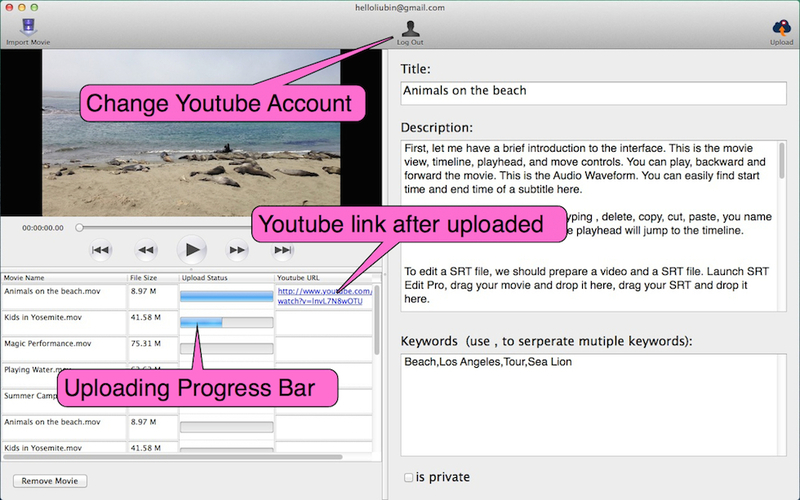 Batch upload your video and movie to Youtube on Mac. Drop all your videos and movies in, hit Upload, enjoy! —You can change Youtube Account. 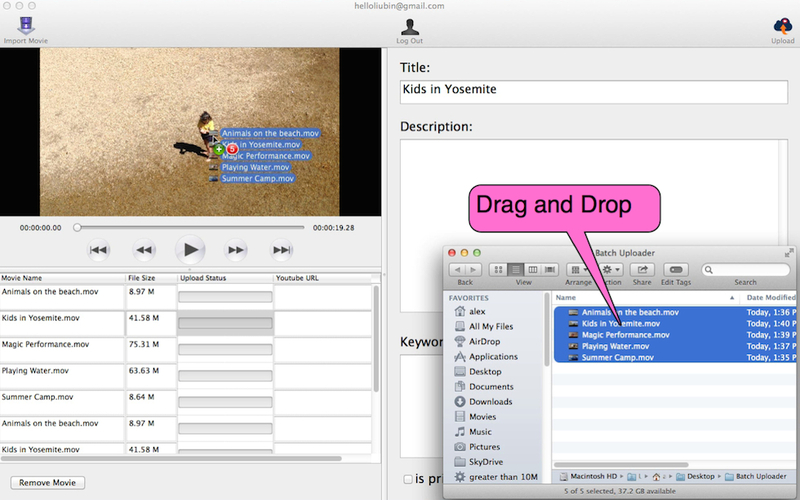 —Get Title from video file name, and can be revised. —After upload, Youtube link generated automatically. This entry was posted in FinalSub News and tagged batch, mac os, movie, movies, multi-video, on mac, upload, uploading, uploads, video, videos, youtube. Bookmark the permalink.